Home » Car Customization Blog | American Car Craft » It's a Prime Day to Win a Poster! It's a Prime Day to Win a Poster! We're PRIMED to offer you the chance to win a FREE poster! 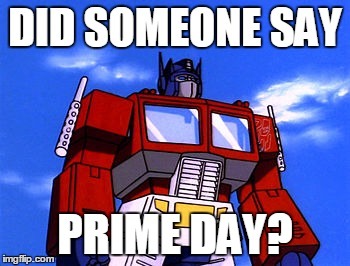 It's a ﻿Prime Day ﻿for a giveaway in 2018, don't you think? We're excited to offer these awesome 24" x 36" posters. Want to know how to win? All you have to do is share a photo or photos of your Mustang or Mopar ride. The posters feature a custom Ford Mustang and custom Dodge Challenger. Each car is dressed for success in high quality custom stainless steel. Each part is proudly made in the USA! All you need to do to win is follow us on Facebook/Instagram/Twitter and post a picture telling us how you're primed to win with the hashtag #AmericanCarCraft we will message the winners for details on how to collect their prime poster. We're also excited to announce that you can now find American Car Craft custom accessories at your local A&A Auto stores! Stop by and ask your A&A technician to show you what they've got.